Florida Power & Light will install ’30 million solar panels’ by 2030 — how does this stack up in the Southeast? Central Florida power generation farm’s solar panels point toward the early morning sun. The panels are mounted on moving racks, that follow the sun, maximizing solar collection capabilities. Florida Power & Light Company is the largest energy company in the United States as measured by retail electricity produced and sold, serving more than five million customer accounts or an estimated 10 million+ people across the state of Florida. The investor-owned utility announced plans to install 30 million solar panels in Florida by 2030 and has secured solar sites throughout the state to do so. The future of solar is bright across most of the Southeast. 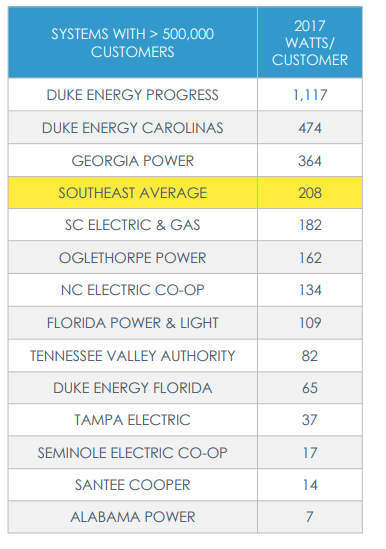 Solar will more than double on average, driven by utilities like Duke Energy Florida and Tampa Electric. Each of these Florida utilities announced solar expansion plans in 2017 that will propel them toward the top of the list in the coming years. 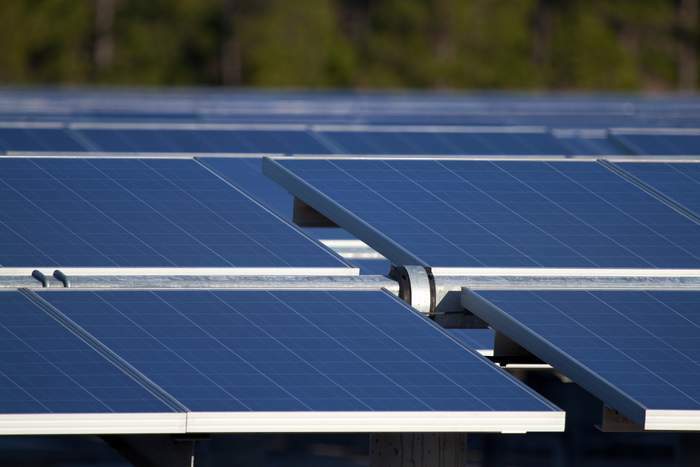 However, the Tennessee Valley Authority (TVA), Santee Cooper, and Seminole Electric Cooperative are not forecast to add solar at a significant pace. Florida Power & Light (owned by NextEra) plans additional solar, but at a slower pace than rival Florida utilities. These utilities operate in a public policy vacuum and the slow pace of solar reflects outdated thinking within the utilities’ management.